Hi! I am Bob. I am happily married with one daughter that my wife and I adopted in 2011 from China. Both of us worked after we married. 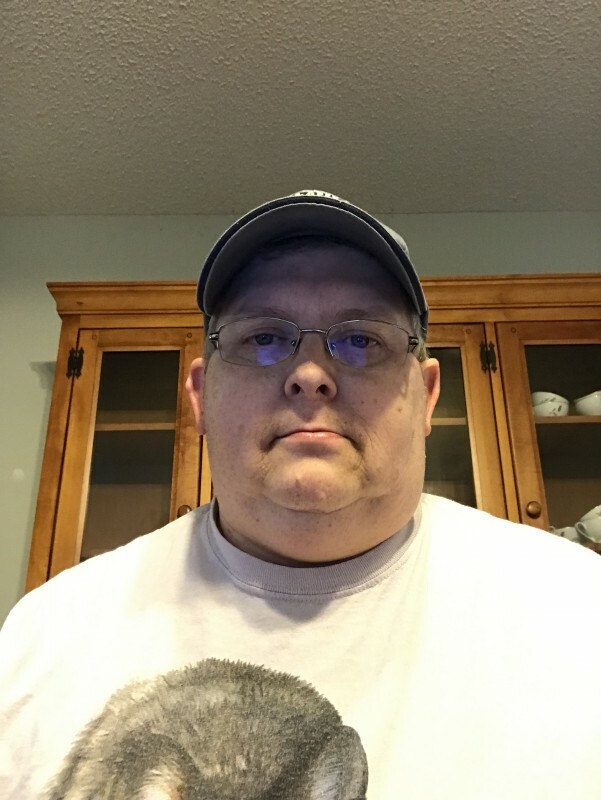 My wife, Karen, was a school teacher and I work as a CNC machine operator for a bearing manufacturing company in Sumter, South Carolina I am an hourly employee, and have been employed with this company for 25+ years. The overtime was great and lasted almost 4-5 years. Now, as most companies try to do is cut back on the overtime by hiring more people to do the jobs. So, I have found myself in a position to find additional income. 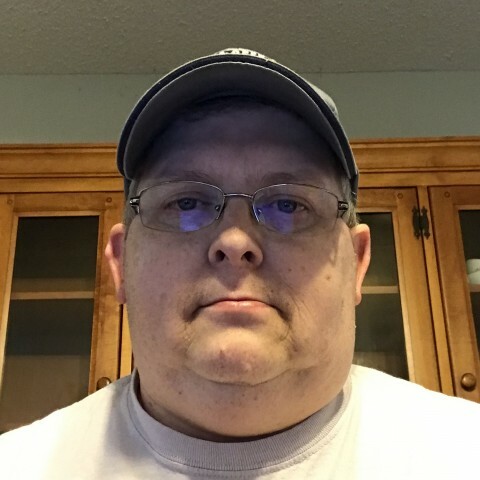 I have no experience with affiliate marketing except what I have learned here since July 2018. When I hit upon WA, it was totally by accident from a link through an attempt to sign up with what I thought was an online pay system called PaySpree. Only to be sent here by a redirect. So, my signing up was totally by accident. But, once here realized that this was the best thing that ever happened to me (besides my marriage to my wife of course). I have attempted a MLM company after 3 years with the bearing plant, but it did not seem like my "type of thing". So, as a result of the decreasing overtime and my wife no longer working as a teacher. I have been putting time in here to learn more about affiliate marketing and look forward to making my website a success. My wife does have a pet sitting business with a website that I built for her on iPage. I originally signed up and was paying monthly, and when I got a letter in the mail from PayPal offering me credit I ran with it. I have since signed up using the Black Friday yearly deal with the PayPal credit. I have my website and will eventually build my wife's website here to take advantage of the methods I learn here. And to tie it all together, I hope to be successful with my website and my wife's...with her help eventually. So that I will no longer have to punch a time clock, do more for myself and be able to spend more time with my wife and daughter. So I am looking forward to moving on to a bigger and better future with Wealthy Affiliates...and saying goodbye to punching a clock to earn a paycheck. Hi, I am just dropping by to say hi and very nice to meet you. Thank you, for allowing me in your network. I have followed you back. Looking forward to future networking. I wish you all the best with you business and continued success. By the way, welcome to WA and you have a lovely bio. Hi Kisha, thanks for the follow back. You definitely have a busy life...did I read that correctly...you did say “mother of 9” wow, 9 youngsters. I and my wife have a hard time with the one...she keeps us busy. I cannot imagine 9...LOL! You're welcome BOB...lol...yes, you did read that right, I am a mother of 9. Yes, I am sure your little one does keep you busy, kids you got to love em. Good morning to you, Bob, my name is Ken and I welcome you to WA and thank you for the follow. I’m following you back. I’m a printer by trade and my job operating an offset web press will soon be in jeopardy in lieu to be replaced with a digital press operated by a younger less experienced person. That is the main reason I’m here to learn the skills I will need to continue to earn an income well into retirement. I look forward to working with you and helping you find success. I wish you much success and satisfaction in your online journey. Best of luck with all your future plans. Sounds good to me. I think the only way to ever have a chance of making any sort of "real money",,, for a lot of us is to work 4 yourself,, not some1 else, it just takes making the decision and having the belief and commitment to follow through. Fair play to ya. Lemme know if I can be of any help to ya. As with anything worthwhile there’s much to learn in the beginning but the rewards are well worth it in the end. Hi KyleAnn, thanks for following me back. I happen to be going thru my network and happen to notice that I see many posts and/or comments from you, but yet haven't followed you yet. ???? I have no idea why, just one of those things. I am now and I appreciate the advice. I have been attempting to do just that for the past 5 months and will continue to do so. Not to worry, the first 6 months are a bit overwhelming! I’m still working on the training myself, just about to complete level 4 and begin level 5 of the OEC. Next year I’ll start on the Bootcamp training. Welcome Bob, to the WA community family. If your serious about being successful in a online business, you are in the right place. I belief you are serious because your here. Bob, what helps me get through the tough time is remembering WHY I'm doing this. There's a lot of great teaching, support and friendly people here to help you be successful. Enjoy all the training, the support and making friends. Great success! Thanks Mark...I do think about the things that I want to provide for my wife and daughter. More than that, it’s about the time I want to spend with them...and not at work constantly. Thanks for stopping by and commenting. I believe you got this, always go back to the WHY you started. This is more individual and skill based. Also much cheaper just the investment of your time. Keep moving forward and reach out if you need help. This is so true with many. There are people I work with at my “hourly wage job” that are late into their 50’s and 60’s. They retire and then what? Enjoy the last few years trying to things that they are too old to enjoy. I do not want to be in that boat. So, there is the reason I am here! Btw, thanks for the follow...I will now follow you back. I read your Bio, and I feel your pain. I am also fed up with the nine til five grid. I want my freedom back. I realise now that the way to this freedom is in helping others. I believe the more you give, the more you will receive. I see you've been with us a few months now. How is it going? You are welcome to PM me if you wish. I have nothing to sell, so you've no fear there. I will always give you my honest opinion. Thanks for the information...I will check out as many of your blogs as possible. My time here in the community is limited since I try to focus more on my website content. No probs Bob and if/when you read my blogs make sure you choose the ones that will help you in conjunction with whatever training you are currently taking. Thanks for the follow, Bob; I’m following you back! Thank you! I’ll keep that in mind. Thank you for following me. I'm a newbie too and here are a few newbie tips. Go to the Rank button at the left-hand corner of this page and follow the top 100 members there. You will then receive their training, tips and advice. 2nd tip: Use the search field at the top of this page on any question you might have. There is information on just about any topic there. 3rd tip: use the Live chat feature and get answers in real time. There are people from all over the world in WA and there are always people there. Blessings to you on your endeavor. Thank you Sachi...I like that idea of following the top 100. I may have gotten all of them already without trying...LOL! Hi Bob. I believe you have come to the right place. Training is great. The supportive community here is awesome. We want to see you stop punching that time clock too, like many of us. Get involved with the training and community Bob. Let us know who you are and share your dreams. I’ve been trying to be involved a little. Trying to focus on my website with the limited spare time I have in the evenings. Yes it is a time thing. Do what you can. A little is still forward movement. This training can get quite intense if you new to this world. All new to me. But we do what we can. Well done on your website and going Premium. I see you even have 2 blogs. Thanks for reaching out Bob and I'm following you now too. Welcome to WA, where you get a chance to reinvent your financial future and once and for all you will never have to re-write or update your resume ... because you have the best boss (yourself) and you can't fire yourself!! It's strictly prohibited! Hi Bob. Thanks for the follow, we are following you back. Working for yourself, and, even better, working from home, is just great. We haven't regretted a moment since we joined WA and we are sure you will feel the same way. Just stay focused, follow the training and set some realistic (but maybe challenging) goals. We will be following your progress with great interest. I have seen a few of your comments to some mutual follows, and thought it interesting to follow y’all. I also look forward to see your accomplishments. Hello Bob,♫Welcome! I am so pleased you found WA. Nice to meet you ツ I wish you a lot of learning pleasure and fun at WA. Thank you for adding me to your network. Dear Bob, welcome to our WA community, you're on the right place to start an online business! Thanks for sharing and for adding me to your WA network, much appreciated. Success with your course, keep on track and let's stay in touch. Hello Robert ! Thanks a bunch for jumping in on my wagon of WA adventurers ! And welcome to WA ! I consider myself to be still a newbie but shoot us any questions you may have! Will try my best from this end or refer you to those who can. The best to you here at WA and beyond ! Hi rrmargroff! Welcome to WA and congratulations on becoming Premium! Step by step training you'll need in order to become successful in online business is right at your fingertips! A welcoming WA community is right here to support you if you need any assistance. Pretty soon you'll be able to put away the ties and stopping punching on the time clocks...May you be successful in WA!!! Hi Linda, great to see other newbies like myself here. We will all be successful together. Best of luck to you! Hi Robert! Welcome to WA. I too am a newbie and hope to have success through WA. Best of luck in your new venture! Hi Lana, welcome to WA to you too. I am looking forward to working with everyone here also. Best of luck to you also. A happy camper - right here! It isn't just about Me! Duh! I finally get it!